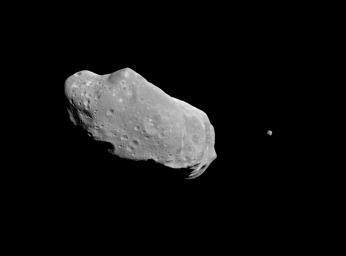 About Asteroids.Not to be confused with Comets, Asteroids are small celestial bodies in orbit around the Sun. There are always plenty of fascinating things happening in the heavens above that makes astronomy a huge amount of fun. The the reality is the universe is a state fo constant flux, many would probably say it's a “living” thing, simply because you never fully know just what you are likely to observe on any evening of stargazing. However of the numerous celestial bodies in our Solar System, there's perhaps none as thrilling as the very first time you see an asteroid in the heavens. Calling asteroids the “rock stars” of astronomy is a bad joke although a truthful representation of exactly how astronomy enthusiasts see them. And, in contrast to planets, suns, and moons, asteroids are constantly moving and ever changing. If you are fortunate to observer them in the night sky will appear both exciting and dynamic. Just like rock stars, asteroids have been assigned their fair proportion of urban myth and lore. Over the years many individuals have attributed the extinction of the dinosaurs to the impact massive asteroids on the earth. This is only a theory about asteroids and yet has some credibility, and if it's accurate brings up some fairly shocking images and concerns for the present species on our planet, mankind. Indeed, there are numerous recorded instances of modest size asteroids making it through our atmosphere and leaving behind a number of really impressive craters in the Earth’s surface. Society has happily accepted the notion of an asteroid impact. This concept has inspired the creation of countless sci-fi stories. Yet undoubtedly the most discussed idea that's harnessed the imagination and fears of sci-fi followers, and the general public at large, is of another asteroid striking the Earth that may obliterate life as we know it, which is allegedly what happened to the dinosaurs. As a matter of fact, the film “Armageddon” was influenced by this idea. One of the best ways to calm people's fears is to replace sci-fi with science, understanding and knowledge. The simple truth is there's been a great deal of research concerning asteroid activity, and the serious scientific community has acquired considerable knowledge of these incredible celestial bodies.